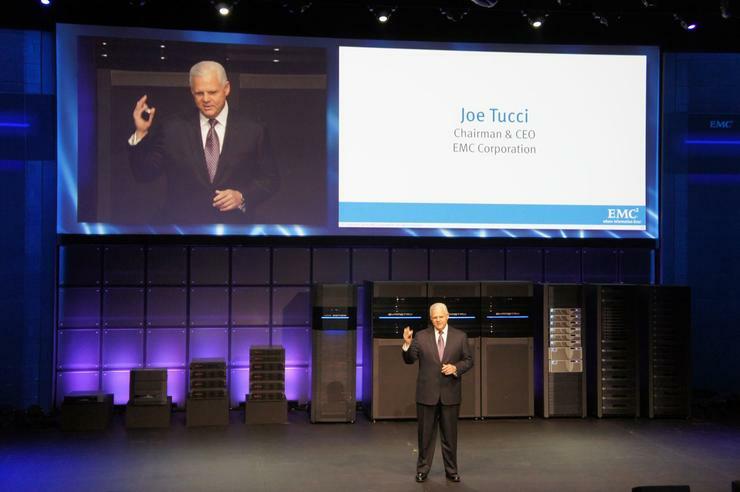 "The storage market had a strong finish to 2014." Total worldwide enterprise storage systems factory revenue grew 7.2% year over year to nearly $10.6 billion during the fourth quarter of 2014 (4Q14), according to the International Data Corporation (IDC) Worldwide Quarterly Disk Storage Systems Tracker. Total capacity shipments were up 43.7% year over year to 31.8 exabytes during the quarter while spending for the full year was up 3.6% to $36.2 billion - full-year capacity consumption was up 43% to 99.2 exabytes. 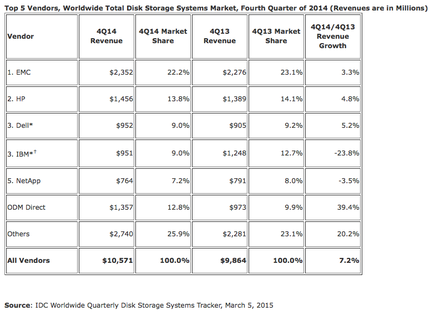 "The storage market had a strong finish to 2014," says Eric Sheppard, Research Director, Storage, IDC. "Fourth quarter spending on enterprise storage systems was up strongly in most major geographic markets, driven by traditional year-end seasonality, demand for midrange systems that incorporate flash capacity, and continued growth of systems designed for hyper scale data centres." EMC finished 4Q14 in the top position within the total worldwide enterprise storage systems market, accounting for 22.2% of all spending. The number two position was held by HP, which captured 13.8% of spending during the quarter. Dell and IBM ended the quarter in a statistical tie, with each accounting for 9.0% of global spending. As a single group, storage systems sales by original design manufacturers (ODMs) selling directly to hyper scale data centre customers accounted for 12.8% of global spending during the quarter.